Long time I keep in my drawer that work. But now it ready to see light. It just my humble part of Great SAS team work. Only one FIXME still remains He-162 need Original(standard German altimeter) and Patin repeater. What we have now in Game is aftermath of French restoration with as minimum 2 Fr. Instruments on dashboard. Some screenshots from work folder and may differ with final result. BTW I catch too much not German sign plates in stock cockpits (Oxigen;Pitot pipe etc,etc) Just imagine how happy must be Gestapo fire squad to meet that French and English Saboteurs near the wall. Im speechless ?? ?, I can almost touch those wires going to the frontal windshield. Superb work, thanks sir!!! Very nice. I like the seat texture. The rest are amazing too but its nice to see the attention to the small things as well. Very good work. Thank you. Dude its a work of ART! Amazing attention to detail. Exceptionally well done. is this for DBW 1.7? Another great work from Greif, many thx for doing this! Absolutley stunning grief, looks really life like, i was happy with the cockpits before but these are beautifull. One small problem i may have noticed though, is that the weapons pylons for the bombs no longer show up on the Me-262's for which your mod applies. If i disable your cockpits then all is ok again. I noticed a hier.him file in the download, are maybe the pylon entries missing from there? Also would it be possible to add the ME-262 B1a (NJ) and the AMT Me-262C/Sb to reference the new cockpits please if not to much trouble? 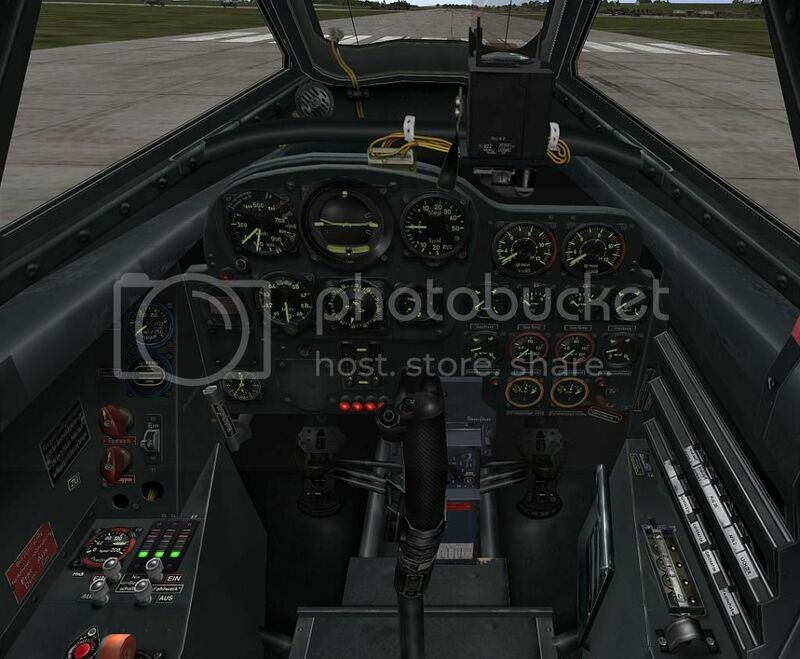 Small problem I have not installed ME-262 B1a (NJ) and AMT Me-262C/Sb in my sim I use my handpicked mod pack 4,09 Just try to drop all content of Me-262 cockpit folder to cockpit of above mentioned planes. And we must see for some result. But IMHO nachtjager need Freya (or someth like that) monitor in cockpit. Abt bomb pilons Just disable plane folder in my mod There only Hier.him with correct engines BTW that is untuched SAS team mod.That gives real size and pos for turbines.